Should elections be held on weekends? 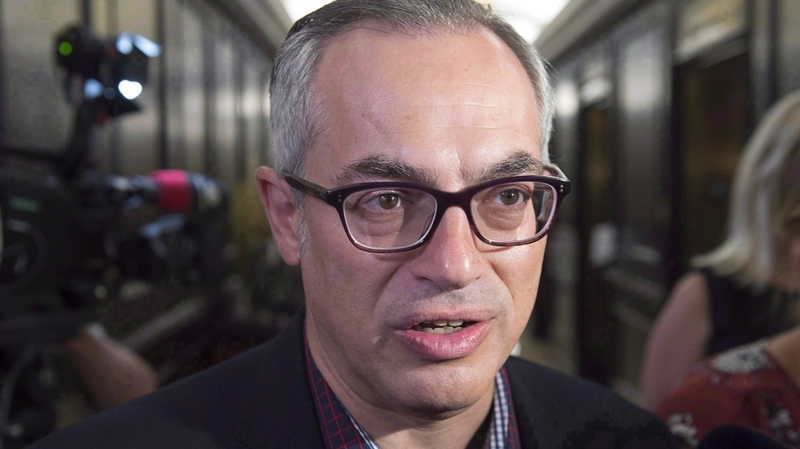 OTTAWA -- Former Conservative MP Tony Clement has had inappropriate online relationships with more than one woman and went to the police months ago because someone was trying to pay one of the women to offer up intimate details of their exchanges, he admitted Thursday. When Clement told Conservative Party Leader Andrew Scheer last week that he had shared explicit images of himself online in October and was being extorted to prevent the images from being released publicly, he insisted it was an isolated incident. "During a period of personal difficulty and weakness I engaged in inappropriate exchanges that crossed lines that should never have been crossed," Clement wrote Thursday in a statement to his constituents in the Ontario riding of Parry Sound-Muskoka. Scheer looked grim as he was forced to take time away from a policy announcement on crime in Brampton, Ont., to respond to the latest admissions, posted by Clement just moments earlier. 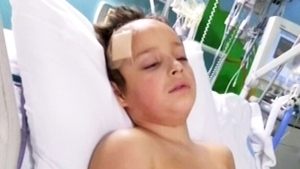 "This was a shock to me when I was made aware of the situation," said Scheer. Despite knowing for several months that someone had been trying to dig up dirt on him, Clement continued to sit until Tuesday on Parliament's national security and intelligence committee. Members have top-secret clearances and can be privy to extremely sensitive information. Clement is no longer on that committee and the RCMP and the Privy Council Office are investigating possible security breaches. Clement approached Scheer last week to let him know someone was trying to extort him because he'd sent explicit images and a video to someone he thought was a "consenting female." He also asked the RCMP to investigate. Thursday, Clement said the most recent extortion attempt was by "foreign actors" but provided nothing to explain why he believed that to be the case. Clement's lawyer, Joseph Neuberger, emailed media outlets Thursday warning them not to publish any of the explicit images or video they may be given and that doing so without Clement's consent would be a criminal offence. Clement said he wouldn't comment beyond what was in his statement. He resigned as the Conservative justice critic and from his committee assignments Tuesday night. Wednesday morning, prior to the Conservatives' weekly caucus meeting, Scheer said Clement would remain a Tory caucus member because he trusted Clement's claim that he'd committed a single, though terrible, "lapse in judgement." But even by then, there was a growing number of women posting on social media sites that Clement had befriended them online, seemed to follow their activities closely, liked all their photos and sometimes contacted them privately through direct messages, often in the wee hours of the morning. A few hours later, Scheer said Clement was no longer welcome in the caucus because he had clearly lied when he said it was a single incident. New Democrat MP Nathan Cullen said he knows of several Conservative MPs who told Scheer directly that he had no option other than to show Clement the door. Scheer's office would not confirm whether any MPs influenced his decision. "The decision to ask Tony to resign was Mr. Scheer's and his alone," said Brock Harrison, the leader's spokesman. Clement wrote on Thursday that he had let himself and everyone who cares about him down. "Pride and vanity got the better of me, and shame held me back from getting back to the path of good," he wrote. "I apologize to the women with whom the exchanges occurred, and I also apologize to anyone else who felt in any way that I crossed online boundaries that made them feel uncomfortable, even without my knowing. I am deeply sorry," he wrote. He said his constituency office will stay open and he will remain an MP. Clement has already been reassigned a new seat in the back row of the House of Commons. He is in a small section with three other MPs -- former Liberal cabinet minister Hunter Tootoo, former Liberal MP Darshan Kang and former NDP MP Erin Weir -- who have also found themselves on the outs with their parties because of allegations of improper behaviour. Clement was a Conservative party stalwart, a cabinet minister in Stephen Harper's government and twice a candidate for the federal party leadership. He dropped out of the most recent leadership contest early on and endorsed Maxime Bernier. He also ran for the provincial Tory leadership in Ontario, where he was once a cabinet minister. 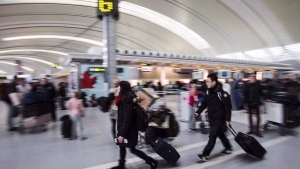 The Ford government is proposing to end OHIP coverage for Ontarians when they travel outside of Canada, saying most tourists buy private health insurance for trips anyways.